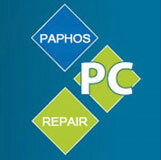 Below are a few questions we have been asked by customers who were looking for Computer Repairs in Paphos. Do you have a shop premises? No, at this time we don’t have a shop but this may change in the future. While running a computer repair company in the UK we often found that people preferred us to call out to their homes to repair their computers so we have decided to start our new venture in Paphos as a call out only service – at least to begin with. Our aim is to attract new customers who are looking for Computer Repairs in Paphos and the surrounding areas via our website and then let the service we offer speak for itself. Do you charge an hourly rate? No. We work by offering our customers a fixed price quotation for the work / parts required. If you are not happy with our quote you are under no obligation to use us and won’t be charged for the call out or any diagnosis we carry out. That is a really difficult question to answer and depends on the problems you have with your equipment. We try to arrange to diagnose computers withing 24 hours of the first point of contact (if that is convenient to the customer) and in most cases, we can normally fix most software related issues there and then, as long as the customer is happy with our quotation. For hardware repairs, the time scale for the repair depends on whether parts are in stock or need to be ordered in. If parts are in stock then we endeavour to complete the repair within a 24 hour period. At this time we can take cash payments or Bank Transfer. We hope to get a card payment system soon. If you have any other questions, please get in touch and we will do our best to answer your query.